I don't think you can legitimately extrapolate from Reagan to Trump. Murray said that the former used free market rhetoric, and pretty much did the opposte; that he presided over a general love for govt since he was such a sweetie pie. But the latter doesn't use free market rhetoric. Say what you will about him, no one, not even his supporters, think of him as a sweetie pie. Which is why it is even more horrific that more Rothbardians don't attack Trump. What do they see in the man? hey, I attack him. mainly on war-mongering and protectionism. but, I also give the devil his due. on: PC, Gorsuch, deregulation, lowering taxes, De Vos, environmentalism, etc. So you certainly could say the same thing about Reagan on many points. The point is not that it is possible to find something that Trump is good on but that many libertarians have been silent on all the evil things he is doing. And now we learn that yes indeed he has expanded the rules of engagement for the use of nuclear weapons. Do you plan on attacking this engagement position? I just got finished criticizing his war mongering. I'm busy with lots of other stuff. I doubt I'll continue to attack him for every little, or big, as in this case, thing he does wrong. I shouldn't be criticized for what I don't write; only for what I do write. One thing Dr. Walter Block neglects to mention is that Trump is causing the "Deep State" supporters of both Democrat and Republican parties and Main Stream Media to be exposed as the frauds and liars that they are! The common person is being educated in the illegal and unethical ways in which and lengths that the Ruling Elite and their MSM orifices will go to dispose of Trump. 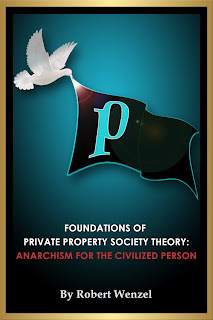 This may create an opening for a legitimate anarcho-capitalist. Actions that surely wouldn't have exposed in a Robert Wenzel preferred H Clinton administration! What Dr. Block has written is precisely what I criticize him for. In 2016 he was adamant that he opposed a nuclear World War III with every fiber of his being. In his article last Wednesday there is nary a mention of Trump's moves to nuclear escalation. In 2016, foreign policy was his predominant concern. He wrote, "There are three broad arenas to which these libertarian principles can apply: foreign policy, economics, and personal liberties. But the first is by far the most important. It probably outweighs the other two, even put together, by a wide margin." Now, he wants to give the devil his due for his "really wonderful achievements", only one of which come in the foreign policy arena. And rather than attacking Trump last Wednesday, he instead offers "constructive criticism". I can appreciate how busy Dr. Block is. But if he can't find a few minutes to decisively attack Trump's dangerous escalation (which he acknowledges in your exchange is a big thing), it belies the sincerity of his earlier words. It's not only his warmongering that worries this anarcho-capitalist and libertarian; his stance on trade, commerce and immigration reflect a worrisome misunderstanding of economics that would make a Keynesian look like Adam Smith. Hiw views on people from other countries, while everyone is entitled to his or her own opinion, nevertheless are cause for great concern considering the man incluences policy decisions that affect everyone in this country and others. Of course, his warmongering adds to his list of bad traits but it isn't as if you weren't warned---he never hid his flirting with war during his presidential campaign. I am sure more than one AnCap asked you, Dr. Block, to not throw your support towards this man. 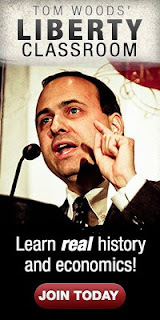 I'll vote/support Walter Block on this back and forth and comments above. Block gives Trump a black mark when he earns one. That he is not strident enough for Wenzel's taste is asking that Block be something he is not. I had hopes that Trump would be better on foreign policy than he has turned out to be. He is still better than Hillary Clinton. Well, here you go, Bob. A drunk, illegal alien (not an immigrant - an illegal alien) kills two people, including a football star. And people are trying to make Indianapolis a sanctuary city - another city like SF where illegals can get away with murder. I love your websites, and I'm pretty sure this is the only thing we disagree on, but unless/until we can create the private property society you envision, we need to keep the illegals out so that sheer numbers don't destroy the culture. It's just that simple. There is a process to immigrate into this country. And there is an order to creating a private property society, and it is not putting the cart before the horse, which is what having open borders does. I'm also posting this in the 'Block-Wenzel Exchange' post because it is recent (and less likely to be missed than in the SF sanctuary city post) and it's loosely related since Red Ronnie (Reagan who was a one-worlder masquerading as a conservative) made three million illegals eligible for amnesty. Just like being killed by a gun is more bad than by other methods, if one is to trust anti-gun zealots' arguments, being killed by a drunk driver who is also an undocumented immigrant is more bad than being killed by a native-born drunk driver because... "them immigruntz takum er jebz!" or something. Never mind that just like there are millions of gun owners who never hurt anybody in their lives, there are millions of undocumented immigrants who do nothing wrong except go to work and lead productive lives. I support nullification so support sanctuary cities. They are nullifying federal immigration laws, not state murder laws. And if Dr. Block’s plan to privatize all roads were in effect, maybe being a horrible driver, whether drunk or not, wouldn’t be so prevelant. Otherwise this is part and parcel of the tragedy of the commons. I’d rather work to reduce government control of roads rather than government control of borders. Heck, they can’t even control their own roads—would they even be able to control borders if they tried really, really hard, rather than just good enough for government work as they do now. The Wall: Brought to you by the same people that brought you Medicare. And here in Indy, they might also want to fix the potholes—maybe the drunk was just swerving to avoid one.